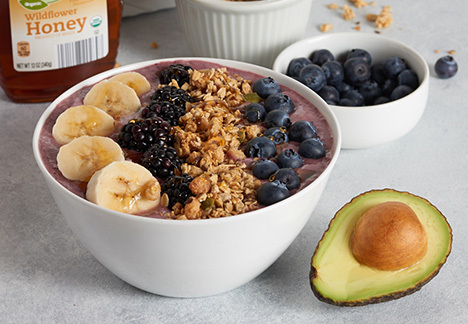 Place all smoothie bowl ingredients in blender and blend until smooth, reserving additional berries for garnish. Transfer to serving bowl. Choose your favorite garnishes and enjoy!